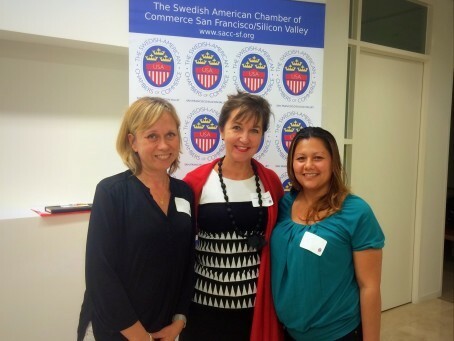 On the photo from left to right: Liselotte Shafiee, Helena Kristersson (Chairwoman and CEO at the Swedish-American Chamber of Commerce) and Emma Chavez. The Born Global event is dedicated to the namesake accelerator program for ambitious Swedish startups that aspire to go global. The program puts 10 startups through an intensive process of Customer Development and Business Prototyping. The goal is to accelerate the startups’ identification of scalable business models. The faculty at Stanford University and Chalmers in collaboration with entrepreneurs in Silicon Valley and Sweden developed the applied methods. The program has been running since 2012 and has helped over 50 startups. Sigma Technology USA representatives were invited to the event and had a chance to meet and network with the Swedish companies presented in Silicon Valley.